We are introducing one of the oldest men’s gadgets. How to choose one, how to use one, where to buy one: let us “fill you in” on the topic of flasks for men. Some things never go out of style. 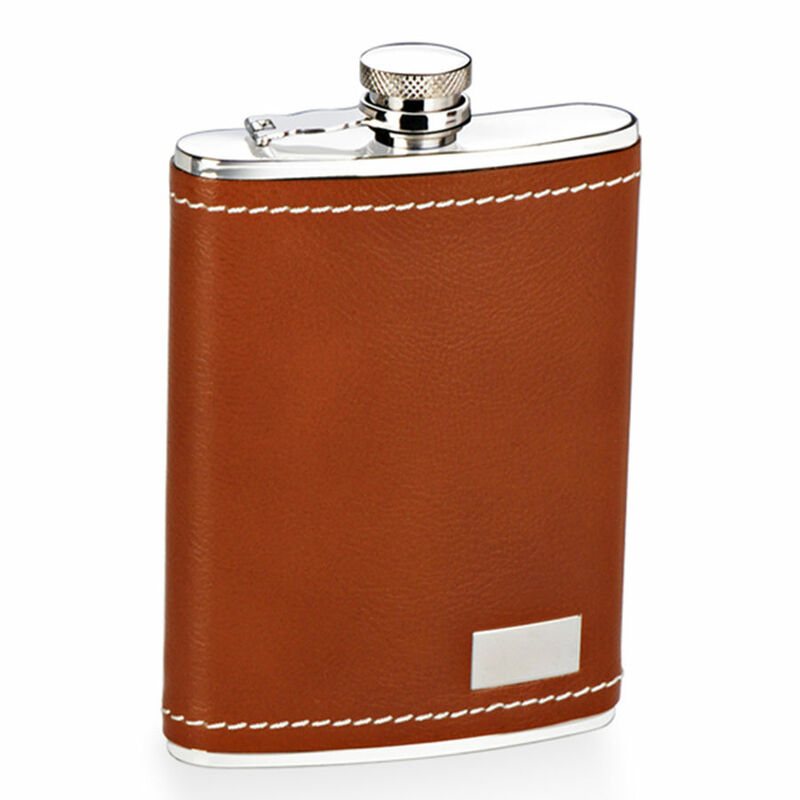 The classic gear item of flasks for men happens to be such a thing. These days, sipping from a flask might only bring to mind vintage scenarios of cold nights in the trenches of World War II. While it is true that the hip flask has come a long way, its history reaches back much more further than European battle fields in 1944. In fact, the flask has managed to survive all the way from the mid-18th century until today. The mid-18th century? That would render the flask a mere 120 years old, raising the question how the succes story of the flask came about. And indeed, it is worth asking where all this began. We are starting off with a look at the 100+ years in flask history. To fully understand how carrying a small, alcohol-filled container could ever become popular we can draw an interesting parallel to another piece in men’s gadgets, namely to timepieces. A vintage pocket watch as they were used by train guards. With a porcelaine dial and 53mm in diameter at a depth of 20mm. In 1759 the London freemason Thomas Mudge invented the lever escapement, a small but striking invention in precision engineering. The origin of the characteristic “tick-tock“-sound, the lever escapement soon enabled the production of clockworks that were smaller and leighter than all those before.Clockworks could now be manufactured in sizes small enough to fit into a pocket-fitting case. In one word, the second second half of the 18th century saw the birth of the pocket watch. What was until then only known known as a massive clockwork inside a church tower or inside a heavy grandfather clock had now become a handy and convenient item for the urban gentleman. Does that ring a bell yet? It seems as if the hip flask was simply riding the same wave of becoming mobile as did the pocket watch. Eventually patented as a ‘Watch Wristlet’ in 1893 by the London-based Garstin Company, it was the modern wrist watch that served as the prototype for the flask’s rise to fame: if a heavy grandfather clock could be transformed into something you can carry in your pocket, then the same should be possible in regard to all those heavy glass carafes, jars and mugs. And it was. It is an interest fact that both watch and hip flask came into life simultaneously in two separate demograpics. 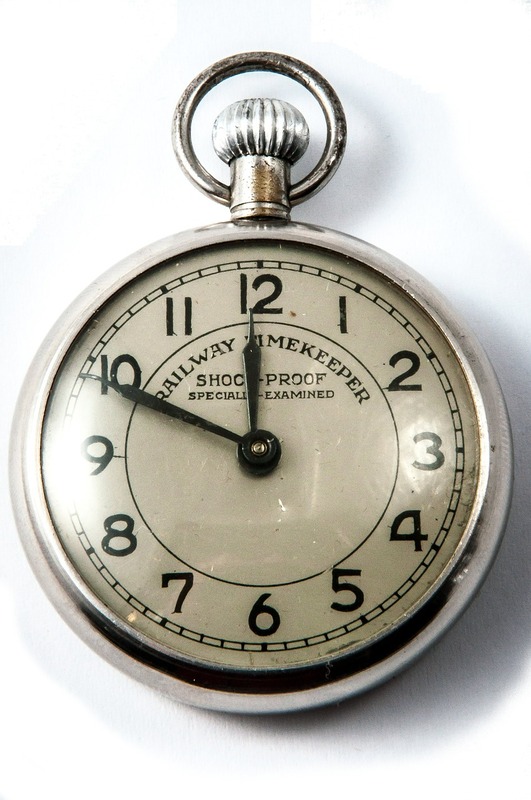 While pocket watch and later: wrist watch were an accessoire for the prosper, flasks found their home in the working class. A vintage flask from around 1940. What may appear small in picture is large in real life. 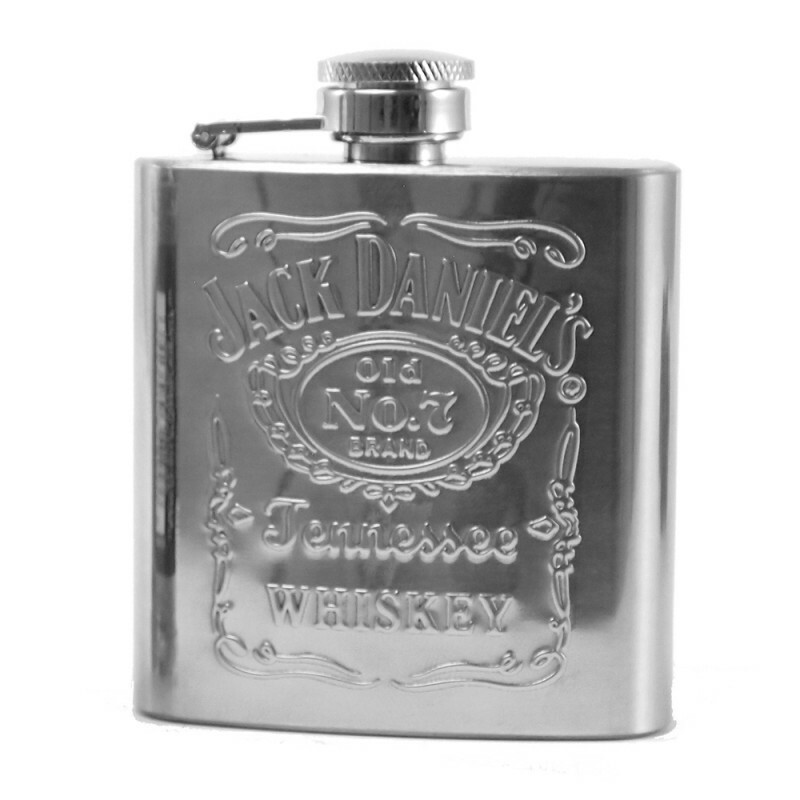 The pictured flask has a capacity of 12 fluid ounces (fl. oz.) which is no less than an 354 ml – the same as a cola can. To compare: An average flask would hardly hold more than 6 fl. oz. or 8 fl. oz. (177ml / 236 ml). Working class in this sense included anyone from the factory worker in Great Britain to the golddigger at the Yukon River to the soldier appreciating the kidney-shape of the flask as it sat aptly on his hip (hence hip flask). In short, flask and watch moves towards opposite ends. The flask began as a lower class item and made its way to a classy men’s item that can be personalized and engraved, while wrist and pocket watches began as an absolute luxury item and later made their way into mass production. The Flask As Men’s Best Friend For 120 Years — True? It is needless to say that the hip flask in its essence has been around long before it became the daily companion of the working man. From a dried pig’s stomach that served as a water reservoir in 1800 BC Ancient Babylon to leather pouches in the mid-ages, the idea of a flask is no novelty to man. What is new about the hip flask as we know it today is the flask being a more delicate item for men, i.e. as something that would fit into the jacket pocket of the modern gentleman. The hip flask not only become more mobile and transportable, it has been a tremendous decrease in size and weight over time. The more popular flasks became, the less they remained an accessoire for men only. 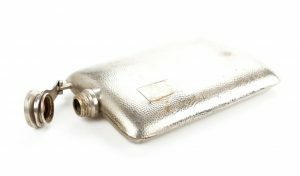 During the 1930s prohibition in the United States glass-made flasks were a widespread means to smuggle alcohol into venues that by law could not serve any liquor. 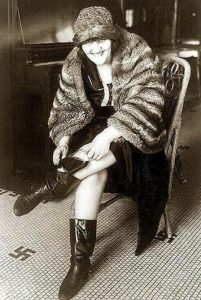 As alcohol was a desired good by both men and women alike women started to discover the flask for themselves. Today’s flasks for women do not differ from men’s flasks in regard to size. What still differentiates the men’s flask from the women’s flask are colors and shape. Many women’s flasks come in more wider shapes that are often circled rather than squared or rectangular, giving flasks for women a more feminine shape. A flask aiming at a female clientele might also be available in a pink, yellow or rosé leather wrapping instead of the timeless brown and black wrappings that cater to a male target-group. Flasks come in literally all sizes. 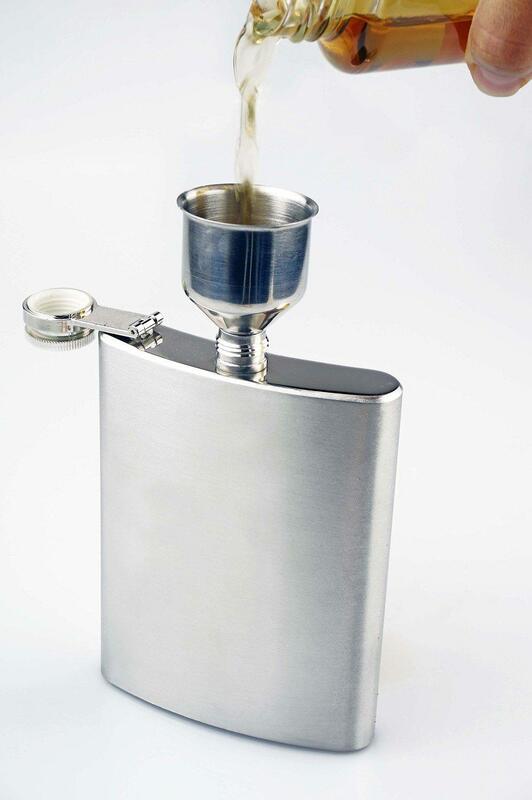 Sizes range from miniature flasks attachable to a keychain that will hold 14ml of liquid (one shot), to massive flasks that are larger than the average bottle of liquor and that will hold an impressing 1,89 liters. 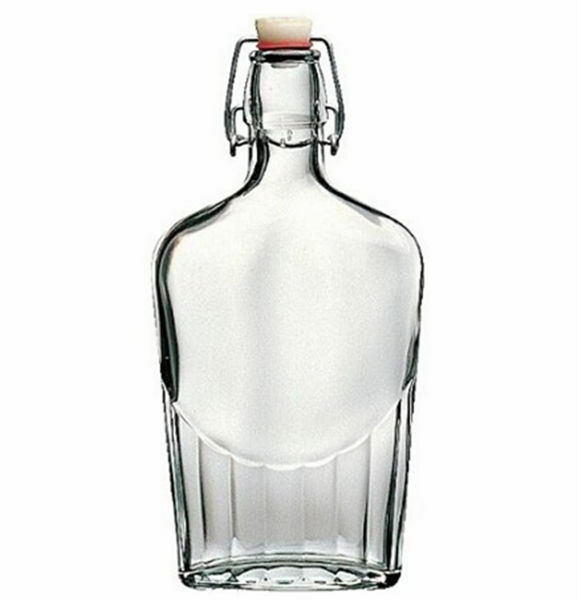 The most sold and most popular size for flasks, however, is the 8 ounce flask holding 236 ml. In order to find the right-sized flask for you there is a simple trick that will point out your perfect compromise between size of the flask and the volume of alcohol you want to carry. Simply visualize a line from 1 cm below the tip of your middle finger all the way down to the bottom of your hand. The length of that line is the height of your perfect flask. The amount that flask will carry will also coincide nicely with how much hard liquor you can probably take as the size of your hands more or less coincides with your body weight. 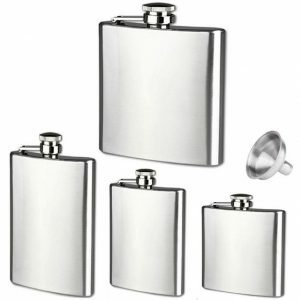 In case you were wondering: as statistics have it, the visual line drawn from the top to the bottom of a men’s hand in 99% comes down to the already mentioned 8 ounce flask: buying a hip flask for men is one of the few occasions where going for the standard edition is the recommended way to go. 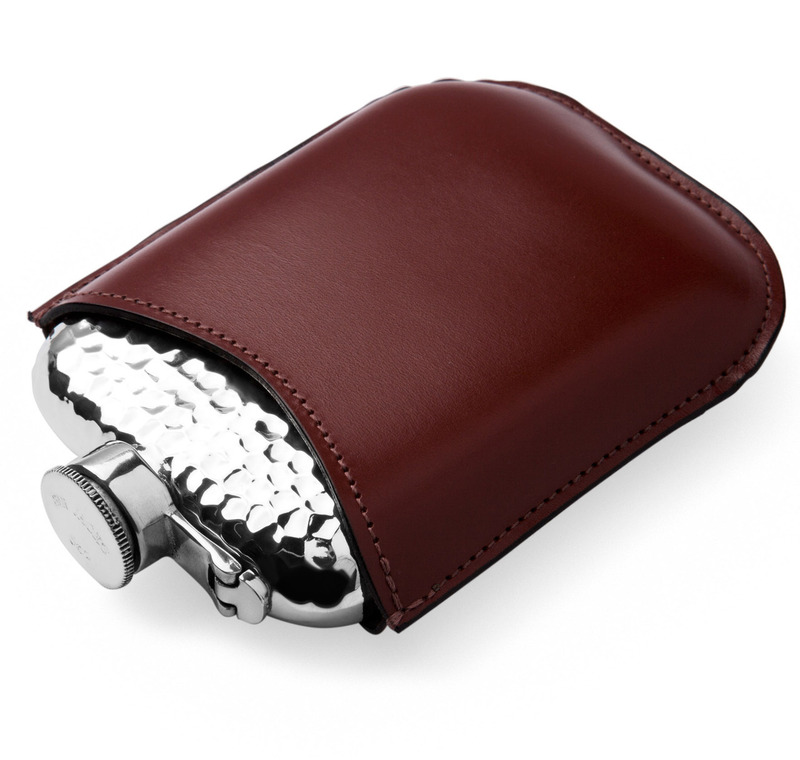 Hip flask in a rectangular shape are the second most common type of flasks. It has to be noted that a fully rectangular flask is somewhat hard to find. Most flasks are curved even if it is for a subtle angle. Rectangular flasks, however, do exist. They come with the big upside that they are are of ultimately flat proportions and will fit into any pocket neatlessly. Named kidney after their kidney-inspired vault the kidney hip flask is the most common type of shapes. It comes in varying degrees of curvature than range from a very mild bulge to the full classic curtosis. While the degree of the vault makes no difference to how much a flask can hold, a stable curve in your flask comes with this upside: it just looks the most authentic. Round or ovally shaped flasks mostly come with a below-average volume of alcohol to carrry with them. 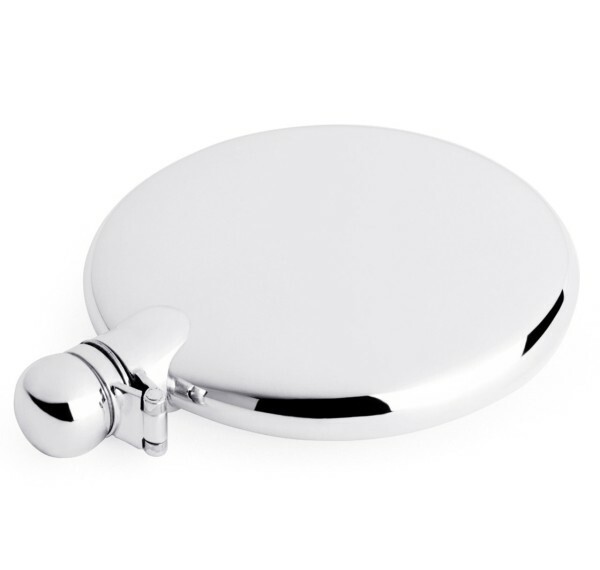 Often this type of flask is prefered by women as the roundedness of the flask portrays a more female style. Especially so, if you compare it to the sharp and masculine edges of a rectangular flask. Glass has been the material of the very first flasks. 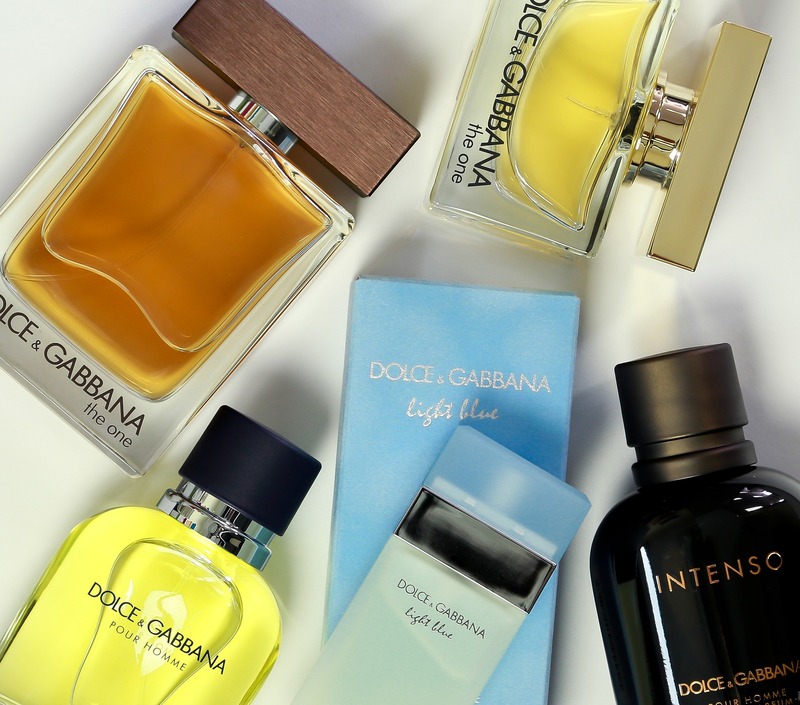 While glass has the one big upside that it is the only material guaranteed not to alter the scent or taste of the liquid in use, it comes with the obvious downnsides of being naturally fragile and rather heavy. Pewterhad a short intermezzo in being the predominant material for flasks before stainless steel flasks eventually took over. Historically, pewter flasks were second in line when it came to mass producing flasks. Pewter was a huge advancement in comparison to glass as it was leighter and much more stable. However, it wouldn’t take long for the alcohol to absorb a bitter aroma that was dissolving from the material of the container into the liquid. Athough the negative health effects were not fully discovered when pewter was the predominat material for flasks, the bitter taste of the precious fluids was enough to look for alternatives. 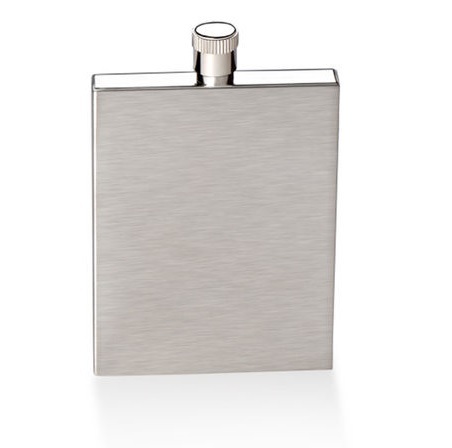 Stainless steel is the material for today’s hip flasks. Offering the best compromise between weight, price and hygiene a good 99% of all flasks these days are made out of stainless steel. In fact, flasks made out of glass are something you will only encounter occasionally, mostly on flea markets. Flasks made out of pewter are either treated as items for collectors of vintage memorabilia or they are simply not sold to customers due to health concerns. Implementing a flask into your arsenal of manly gear comes with certain rules that go along with it. Some of that can be seen more as advice, others can be considered Dos while even others have to be seen as Donts. In order for you get acquainted quickly with your new portable friend we are guiding you to making the right use of your flask in 5 steps that are full of useful advice. Flask etiquette, if you will. No matter what type of high-percentage liquor you are carrying, try to consume it within one week after it went into your flask. If you can, wear your flask in the inner side of your jacket and not in your jeans. Not only will sitting on your flask bend the material, evetually causing it to break. Carrying the flask in your Jeans will also give away the flask too easily – you’d want to play it subtle and in style with your new best friend. Winter activities: skiing, sleigh riding. Visiting a tea-total friend’s house. As a tranquilizer in a stressful situation that demands attention. During Swimming. Water will extract body heat out of you 7-fold and 14-fold if you are intoxicated. When flying. Getting on a plane with a metal flask filled with alcohol is almost impossible. After a brief history of men’s flasks, a breakdown of sizes, shapes and material as well as an introduction to flask etiquette you should be eager to see if flasks for men is something you have been missing out on. Head over to Amazon and browse their offers – You are now educated enough to make a favorable decision.